The SuperDad Chronicles: "Come and Get It!" I stumbled across this at the local SuperFresh tonight. Now, maybe I'm a little nuts, but I think this would be hard sell. We have enough trouble getting the kids to the dinner table. 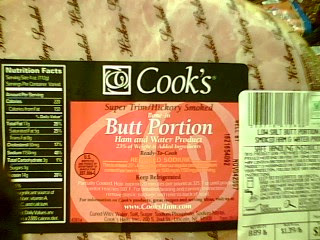 Is this what the "Cook's", crack marketing team came up with (no pun intended)? Sheesh!